Bandai Namco is collaborating with Square Enix to introduce a Dragon Quest-themed activity to their VR Zone Shinjuku amusement space beginning April 27. Form a party and occupy the role of either a Warrior, Priest, or Mage. Equip a sword, shield or staff made especially for the activity. Journey out to the world of Dragon Quest before battling against the Archfiend Zoma, the final boss. An opening event for Dragon Quest VR will be held on April 25, where the luckiest of attendees will be able to experience the campaign by means of a random drawing. On April 20, the official website for VR Zone Shinjuku will receive an update with information on the process of making a reservation as well as other details. It’s so nice to see Erdrick’s sword in HD. I maybe wrong, but that looks like XI’s version of it. 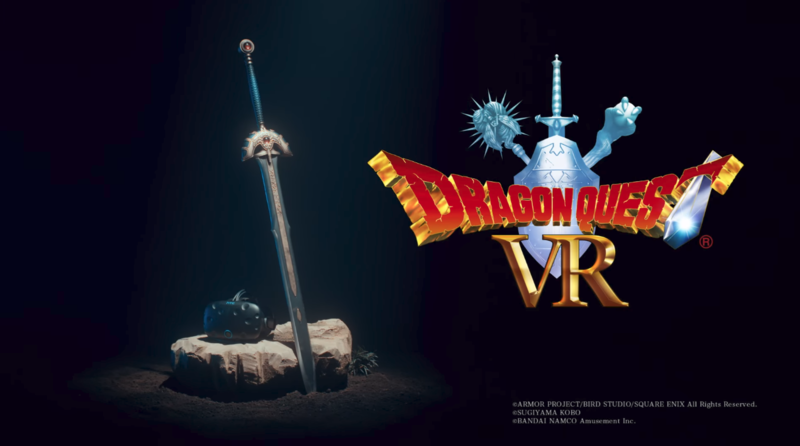 Quite fitting, since this VR game seems to be DQIII themed.